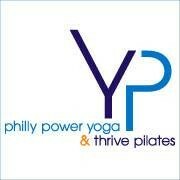 There are no upcoming “Beginner Philly Power Yoga” classes on this day. Rent a mat for $3 cash, includes towel to use in class and to wipe down mat afterwards or bring your own mat, towel, water and grippy socks. Socks are optional for Pilates For barre classes, mats and props are provided. Purchase grippy socks (optional) or weighted gloves (optional) at the front desk For cardio classes, mats are provided, please bring a towel and water - it gets hot! If it is your first time at the studio, arrive for class 10-20 minutes early. Upon entering the studio please remove your shoes. You may bring water into the studio. However, they ask that you leave all other drinks and food at home. Please stack your belongings neatly in a cubby, shelf or locker. Please, be sure to leave your jewelry and valued belongings at home.